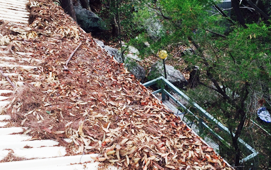 Gutter Knight Port Macquarie is your local independent experienced gutter guard installer in the Port Macquarie region including all the surrounding areas. 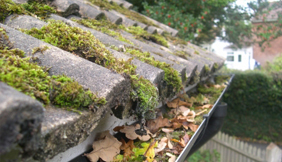 We are a little bit different from others, the consultant who comes out to inspect your property are the actual owners of the business, not another commission hungry salesperson who will tell you anything just to get you to sign, so rest assured that you will receive first class service and the correct advice with suggestions on which Gutter Guard is best for your particular situation. Imagine… no more pulling out that questionable ladder and hanging off like a circus clown – cleaning gutters and climbing on your roof is not only dangerous it is a thing of the past with Gutter Knight’s proven gutter guard system. Put your mind at ease with a massive 20 years workmanship warranty – we don’t just tell you about our warranty, each customer receives a full ‘written and signed warranty certificate’ on every job that is completed. This carries a massive 20-year workmanship guarantee, plus we have our own public liability insurance with 20 Million dollars coverage for your total peace of mind. So why not check out our services! 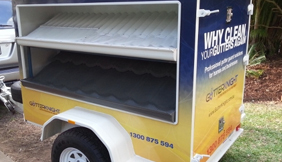 Our gutter guards are proudly Australian made manufactured in Brisbane. Only high-quality Aluminium or Hot dipped Galvanised Steel mesh is used which is powder coated to suit the colour of your roof. The benefit of using either Aluminium or Steel over other gutter guard products is the material will last a very long time, fire resistant, won’t warp or buckle in the hot Aussie summer heat and will still be in great working condition years beyond the others, in fact; Gutter Knight gives you a written warranty that covers the product and has a 20 year workmanship guarantee for your gutter guard. And not only all of that, our product actually works! Prior to installing your new gutter guards, our team will make sure your gutters are first cleaned of all leaves and debris and the tops of your downpipes are inspected for any blockages. 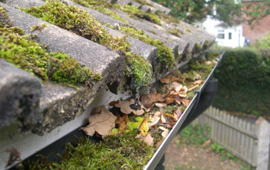 Upon completion, we even clean up all our mess and remove it from site to only leave you with just leaf free gutters to enjoy.